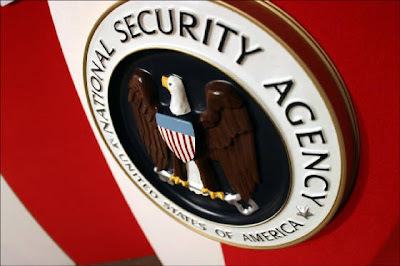 The director of National Security Agency (NSA) General Keith Alexander confirmed that hackers from China was responsible for the serious attack on one of the leading IT security & cyber security company RSA. Yesterday the Cyber Command commander & Director Mr. Alexander presented the testimony at Senate Hearing. He has also confirmed that not only RSA, but also large amounts of military-related intellectual property has also been stolen and yet again China was behind this attack. "I can't go into the specifics here, but we do see [thefts] from defense industrial base companies," Alexander said, declining to go into details about other attacks. "There are some very public [attacks], though. The most recent one was the RSA exploits." The NSA director believes the US Government needs more real-time capabilities to work with the private sector to stop attacks. He explained how in one attack, the attackers were attempting to get 3GBs of data from a foreign defence contractor but the Department of Defence processes for communicating with that company were predominantly manual. He did not present any evidence for the China allegations and it is yet to be seen if there is any diplomatic fallout from his disclosures. The attack was taken place in earlier March 2011, where hackers managed to gain access to the enterprise's servers and take sensitive data. The attackers manage to obtain data on SecurID, RSA's popular two factor authentication system. Also in 2011 China was responsible behind the attack on US Chamber of Commerce, Satellite System of U.S, Nortel Network & so on. But few days ago National Computer Network Emergency Response Coordination Center of China (CNCERT/CC), China's primary computer security monitoring network claimed that China fallen victim of one of biggest cyber attacks originated from US, Japan & South Korea. We must have to say that this statement is truly irrelevant. Cyber crime investigator have found that China was directly responsible for the hack into Japan's Biggest Defense Contractor Mitsubishi, Japan Aerospace Exploration Agency (JAXA) & Parliament of Japan. In case of South Korea more than 13 Million of MapleStory players data has been stolen, there also hackers from China was responsible.